Patti Adams, Associate Broker, is a highly regarded real estate expert specializing in residential properties for sale in Point Loma and Ocean Beach. She has lived throughout San Diego County and knows the areas well. Her friends, family, and clients often refer folks to her for personal, professional service and know that no matter the area, Patti will provide expert knowledge and advice. Licensed since 1997, Patti studied and became a Broker in 2010. She has been an award winner since the outset of her career; Rookie of the Year, Chairman’s Circle, and is recognized annually as 5 Star Agent as nominated by her clients. Patti believes in contributing to the community and was a founding member of the La Playa Trail Association, which serves as an historical society in Point Loma. She was President and is still on the Board of Directors. She was on the Board of the Point Loma Association for over 10 years and was President for two years. She was on the Board of the Point Loma Assembly, a Point Loma landmark since 1915, and served as President in 2012-2014. Professional memberships include the National Association of Realtors, California Association of Realtors, San Diego Association of Realtors, and the Point Loma Ocean Beach Association of Realtors. She served on the Board of the PLOBRA organization for several years and was awarded their Lighthouse Award in 2012 in recognition of her contribution to the community and the profession. 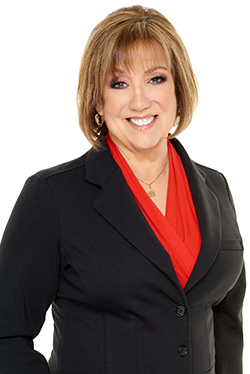 Patti is also a certified Stager, an expert in turning a house into a desirable model home which helps her clients sell their property faster and for more money by ensuring the home is shown in its best light. Her early career as a Banker and her education as a Certified Financial Planner round out the value she brings to her clients. When you need a premier agent that keeps your interests and goals at the forefront while providing professional real estate guidance, trust Patti Adams. You will find her experience and enthusiasm, energy and expertise combine to tirelessly work to help you meet your real estate goals.